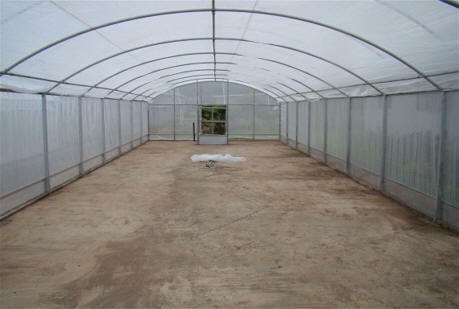 Make sure your greenhouse covering has the strength to protect your investments!!! The best Griffolyn covering for sale from Gothic Arch Greenhouses !!! 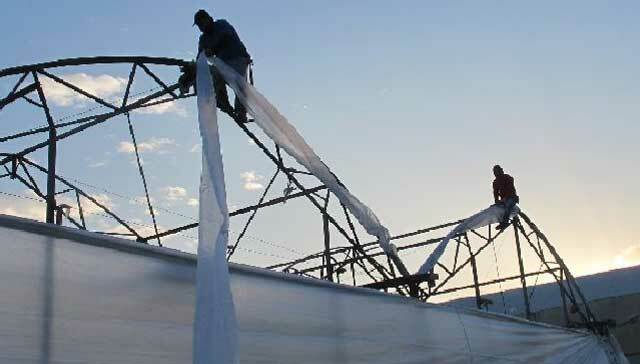 Multi wall Polycarbonates are used for a wide variety of industrial applications, and are valued for their durability and resistance to chemicals and other damaging elements. Griffolyn®, the original division of Reef Industries, has been manufacturing quality, internally reinforced polyethylene laminates designed for a wide range of applications. Griffolyn®'s patented, high-strength reinforced grid provides superior puncture and tear resistance with an exceptional ability to withstand extended exposure to weather. Griffolyn® plastics can be customized to any size and shape, ensuring your exact requirements are met. Griffolyn® is available in white, black and clear. Custom colors are available upon request. This product is a cost effective and durable solution to prolong the service life of your investments. The Patented high-strength cord reinforcement grid gives Griffolyn the unique combination of handling. A UV stabilization process is used during manufacturing to minimize the deteriorating effects of the sun. Griffolyn retains its strength and flexibility even in extreme temperatures.